The National Marine Manufacturers Association (NMMA) is holding its first state political fly-in on March 20 and 21 at the Florida State Capitol in Tallahassee, Florida. The event will focus on sharing industry priorities with decision makers. Policies that affect conservation, consumer protection and infrastructure are some of the important issues for the marine industry. Meetings will be scheduled with political and business leaders, and NMMA will release its new state and regional economic impact data. 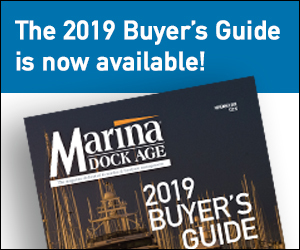 According to NMMA, bringing in voters and business leaders will have more political sway than any lobbyist and will give an opportunity to expand the recreational boating industry’s brand, build relationships and impact legislation. NMMA plans to do more of these events throughout the country to expanding the marine industry’s presence before state lawmakers and regulators. Additional details about the Florida fly-in, including a draft agenda, will be available in the coming days. For more information, please contact NMMA vice president of state government relations, David Dickerson at ddickerson@nmma.org or NMMA director of state government relations, Libby Yranski at lyranski@nmma.org.